Trying to eat a healthy breakfast? 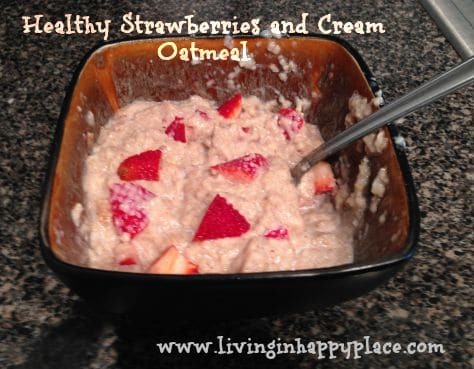 This strawberries & cream oatmeal recipe puts a tasty spin on a healthy favorite! Oatmeal was bit hard for me to swallow at first (pun intended). 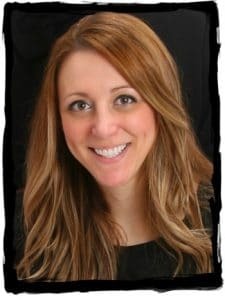 I have been trying to eat healthy not only for myself, but also to teach my kids some healthy eating habits. I know there are a lot of health benefits to eating oatmeal so I’m always looking for ways to make it more appealing (so I would actually eat it). Add oats and water to a microwave safe bowl. (I have tried using milk but water seems to make the oats softer. Use your taste as a judge). Microwave two minutes. Add cinnamon and stir. Add sliced/diced strawberries and sugar free creamer to taste (I probably use about 2 tablespoons but I like it sweet- plus, as you probably know by now, I am Italian so I don’t measure!). If it’s still not sweet enough for you, you can add a teaspoon of artificial sweetener (such as truvia or stevia). This is a healthy and delicious way to get oatmeal into your diet. Remember that microwave cooking times will vary so keep an eye on your oatmeal. If it cooks for too long it will overflow and make a mess. Add your own flair- bananas, blueberries, chocolate chips, granola- whatever your taste buds can imagine! This is trick is also great for getting kids to eat oatmeal. It works just as well with the non-sugar free version of creamer. What is your go-to healthy breakfast? 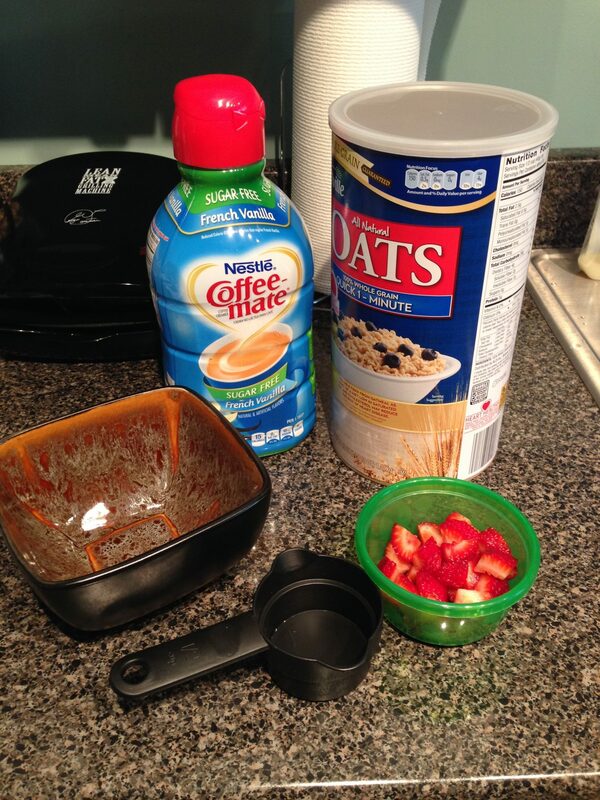 Do you add something special to you oatmeal? Leave a comment and share your tips!